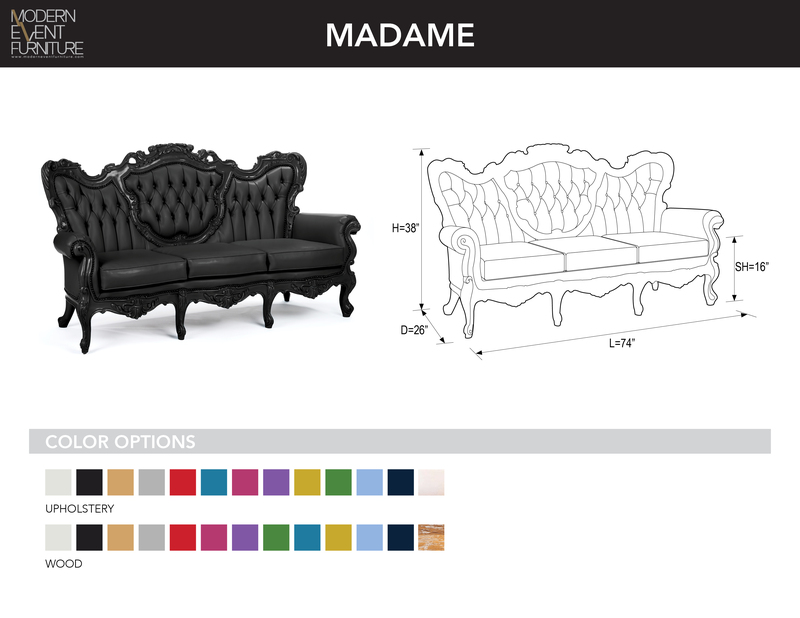 Madame - MEF Modern Event Furniture Inc. The MADAME sofa's ornate design is completely hand carved out of solid wood with nail head detailing. This eye catching piece is perfect for events that aim to create a lasting impression.